This entry was posted on January 8, 2019 at 8:31 pm and is filed under Vladimir Sorokin. You can follow any responses to this entry through the RSS 2.0 feed. You can leave a response, or trackback from your own site. That’s certainly a striking cover…. Day of the Oprichnik is just as good – difficult to resist! I agree with you about the trend in Penguin covers over recent months – they’re proving to be pretty irresistible. 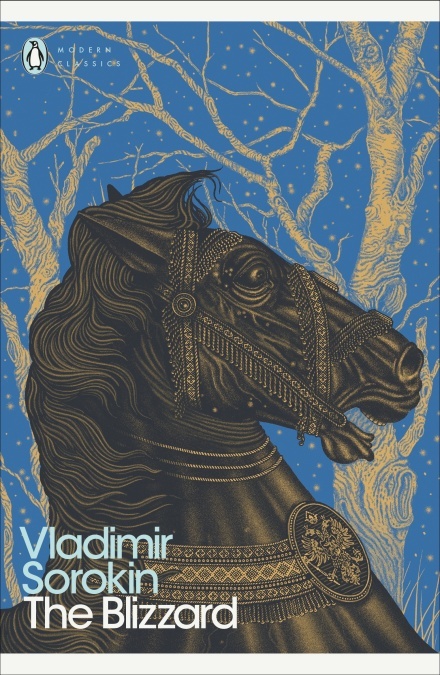 I found it very enjoyable and quite fast-paced – I didn’t know much about Sorokin beforehand but I’m glad I tried it. It sounds excellent Grant. Despite my love of Russian lit I don’t always read enough modern authors, and Sorokin is one I’ve missed. Would this be a good place to start, do you think? It’s my first one so I couldn’t really say – I just know it’s encouraged me to want to read more!